There are more than enough reasons to ensure your scaffolding is safe and secure, and one important part of this is to test the scaffold anchor ties. 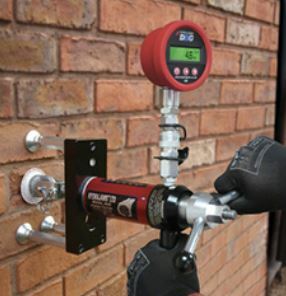 Jonathan Craig from Hydrajaws, which develops and manufactures portable testers for testing the crucial holding force of anchors and fixings in construction materials, runs through the two types of site testing to consider with scaffold. An anchor may be strong enough and specifically approved for the job, but if it is installed incorrectly or into a weak material, it will be compromised and potentially fail. That’s why testing on-site in the actual working conditions is so important. In BS 8539:2012 Code of Practice for the selection and installation of post-installed anchors in concrete and masonry, there are two types of site testing to be considered with scaffolding: preliminary tests and proof tests. As the name would suggest, preliminary tests are performed on anchors before the scaffolding is erected at a site. 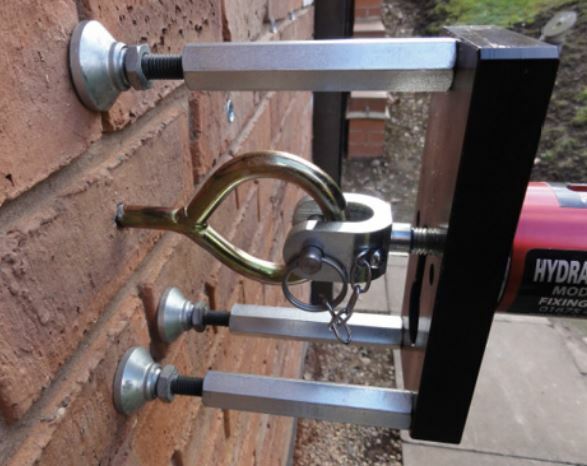 This is normally required when tying into masonry or other base materials where the anchor manufacturer cannot provide characteristic load data. A preliminary test generally involves installing anchors into the masonry on-site and pull testing the anchors to a required load. It is strongly suggested to avoid pull testing these anchors to failure, as this is likely to cause unwanted damage to the building. On all jobs, proof tests of scaffold ties are required. These proof tests are not designed to be a check on the manufacturer’s load test data, but to be a check that the anchors have been installed correctly (to the manufacturer’s recommendations) and that the substrate is capable of taking 1.25 times the working load of each anchor. 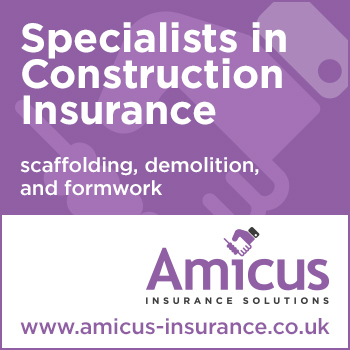 A minimum of three anchors or 5 per cent of the anchors installed (whichever is the larger number) are to be tested per scaffold. It is best practice to spread these tests around the scaffold, in particular if different anchors have been used in different sections, or if these anchors have been installed by different teams. What happens if a scaffold tie fails? Should a scaffold tie fail a pull test, then the frequency of anchor testing doubles. The frequency doubles again should a second anchor fail. In a situation where more than two anchors fail, then 100 per cent of the anchors require proof testing and it also advisable that both the anchor used and the installation method are re-visited. Should this be required, then it is important to use a reputable anchor company with a strong technical department. In line with BS 8539, the results of the pull tests need to be formally recorded and retained with the site documentation relating to the scaffold structure. Traditionally, these results were recorded manually, noting down the load achieved. As with many aspects of inspections and testing, a recent development is a digital process to record the results of these tests. This digital method enables the pull tester to show that they have complied with the testing element of BS 8539, both with regard the load applied and that the load was held for the specified length of time. A digital process for testing will also then collate the data into a comprehensive site test report.